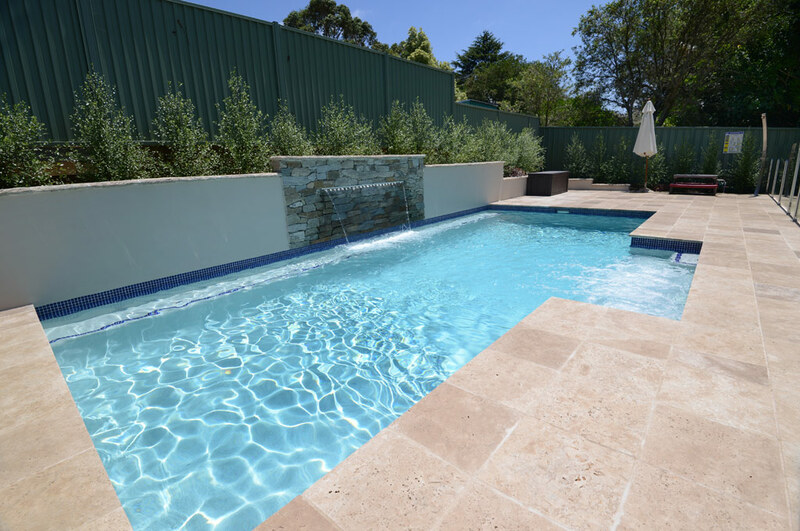 After a major six-week excavation of over 200 tonnes of rock and a complete transformation of the rear yard, our client was delighted with this ultimate entertainer’s pool. 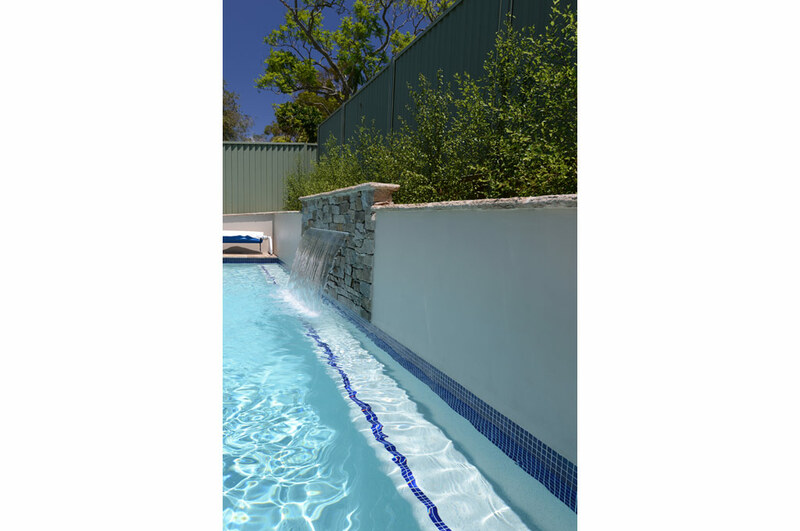 The swimming pool includes a magnificent sheer descent wall and a stunning retaining wall finished in tumbled stack stone. 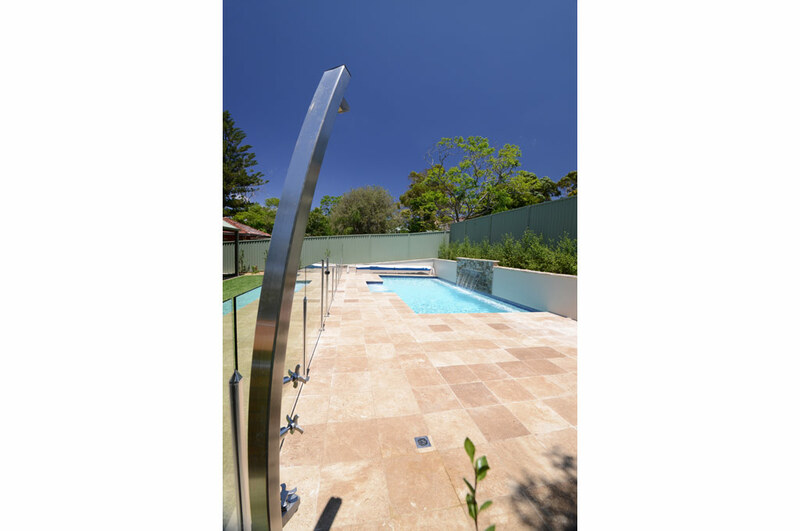 This modern geometric pool takes advantage of full sunlight. 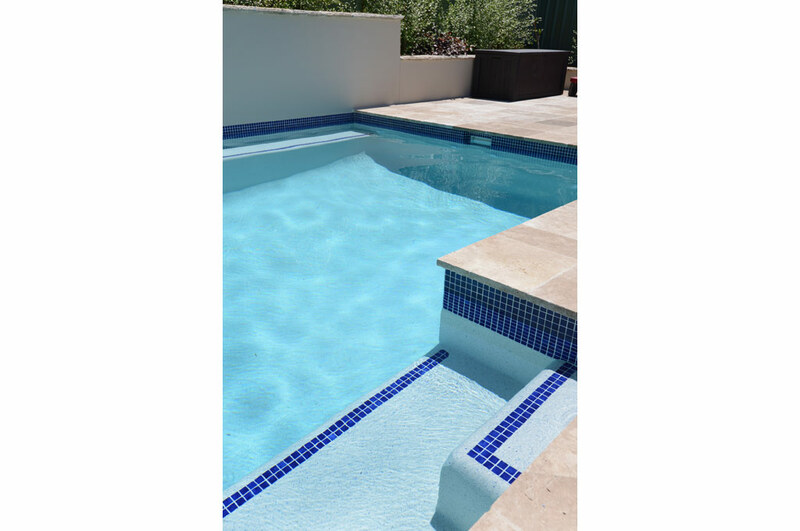 It boasts step edge tiles, a white pebble and blue glass flecking interior, blue glass mosaic waterline tiles, Travertine coping and a luxurious alcove ledge with spa jets. 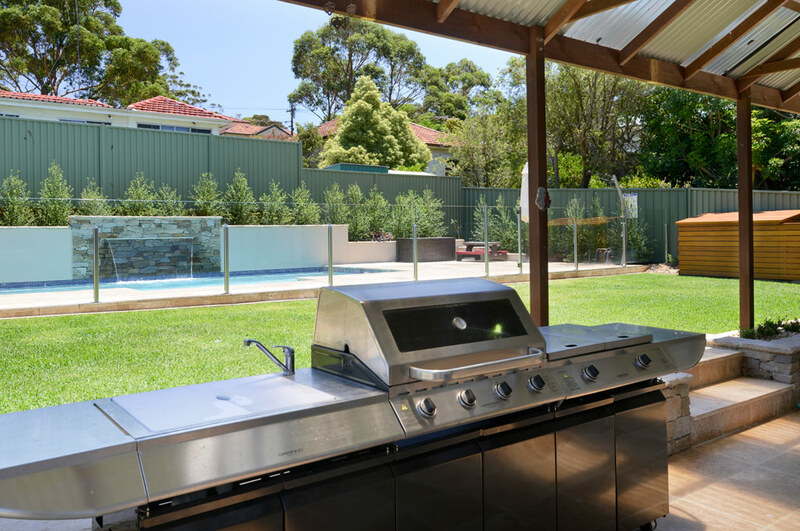 An alfresco BBQ area, outdoor shower and generously sized paving area complete this family fun zone. 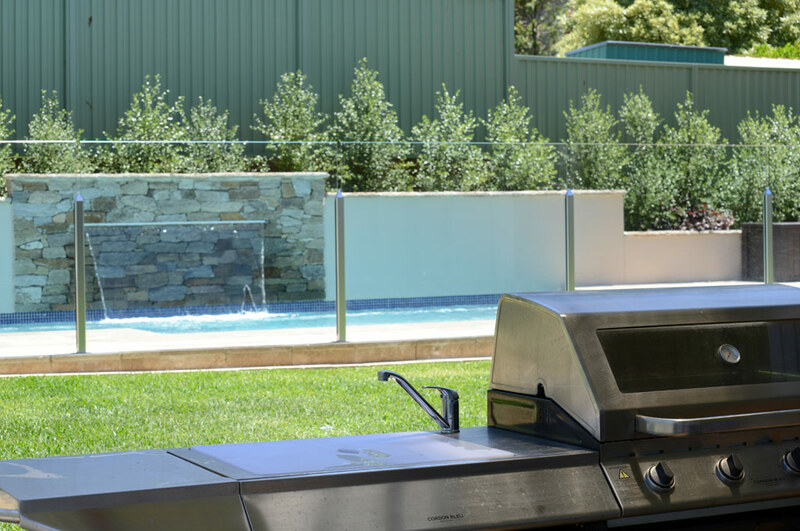 Ultimate convenience is assured with the gas heater, filter, water feature and LED lighting all automated and able to be controlled remotely from the house.